Debian has three different branches you can chose from. Unstable has the latest and greatest software. The name is somehow unfortunate, I would say the software is more stable than what you can find in Fedora. Stable contains the latest officially released version of Debian. This is the production release. Testing branch contains packages that are in the queue to be accepted in the stable branch. The installation was uneventful. At some point it offered me the following software choices: Debian desktop environment, Web server, Print server, SQL database, DNS server, File server, Mail server, SSH server, Laptop, and Standard system utilities. I’ve enabled only SSH server and Standard system utilities, and half an hour later I was booting my new system. rpc* are the standard NFS tools used for remote access of shared file systems across the network. There is also a system logger (rsyslog) and the standard cron daemon. atd daemon allows you to run jobs queued for later execution, and acpid handles the power management of the system. There are 6 consoles handled by getty/login, you can switch between them using Alt-Fn keys. exim4 is your email agent. As I’ve requested during installation, SSH server is started. By default it allows root login, and it needs some securing. The server runs in 38MB of memory (I use free command to measure it). It is an excellent base to build a desktop. Next step is to install the X Window environment. Debian uses apt-get to manage packages. There are other alternatives available, such as aptitude or synaptic. For now I will stick with apt-get. Once installed, I start X Window environment with startx command. In an xterm I use free command to measure the memory: 55MB. Next step is to install LXDE. Unlike openSUSE, installing LXDE will change the boot level. Next reboot you will be directed to login into a display manager (lightdm). The desktop runs in this moment into 95MB of memory, slightly lower than openSUSE 12.3. Debian has over 30,000 packages to chose form. To search for packages use apt-cache search name command. Once a suitable package is located, you can find more about it using apt-cache show package_name. You can install the package using sudo apt-get install package_name command. Debian packages also lots of games. You should not be surprised by the presence of mp3/mp4 support in Debian. The purpose of any distribution is to distribute software, and Debian excels doing that. 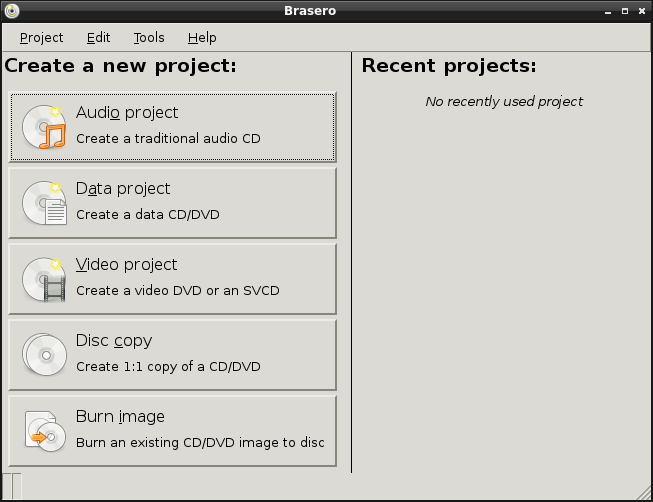 Debian team packages everything from mp3 and dvd support, to wireless and video card drivers. There is no need to access unofficial software repositories. Coming up in Debian 9 (Stretch) is Firejail. a security sandbox similar to the sandbox currently running internally in Google Chrome. Originally intended to secure Firefox, the sandbox supports by default a large number of desktop programs, including proprietary programs such as Skype, Steam and Spotify. While Debian isn’t exactly the friendliest distribution ever, it’s definitely the best choice to build a lightweight Linux desktop. It is a popular distribution for software development, with lots of support behind it. You might find it worth looking at running on your own system. And if something goes wrong during setup, you can always ask a question on the mailing list, or revert to a distro you know better. To put things into perspective, I’ve also installed Debian Gnome 3 on this machine. 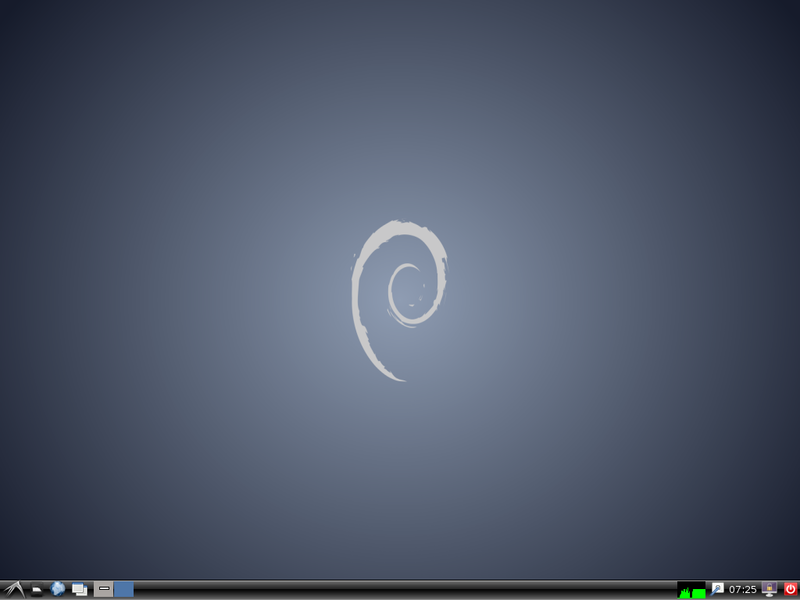 Debian “wheezy” packages Gnome version 3.4. To my surprise, it loaded in 215MB of memory! Under Debian even Gnome 3 looks lean and mean. 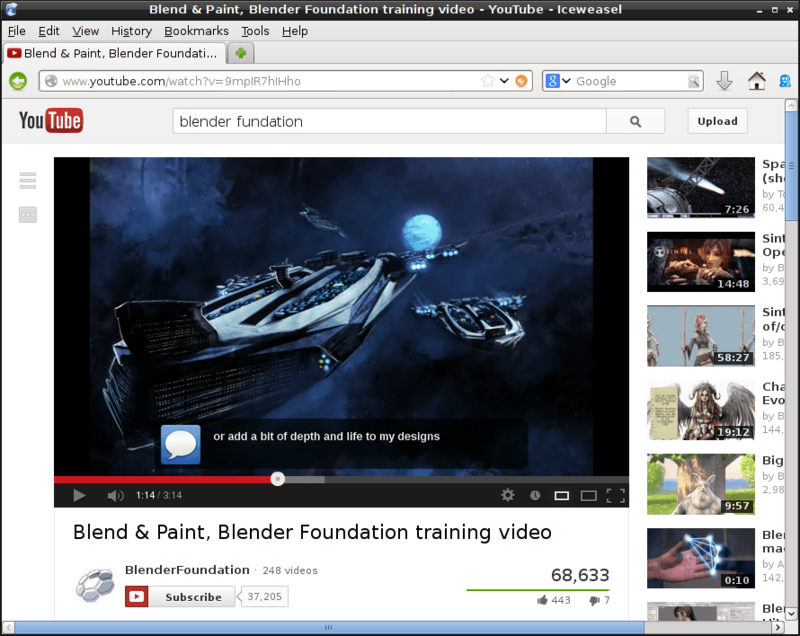 A better comparison would be Ubuntu 13.4 Unity loading in 425MB or Fedora 18 LXDE spin loading in 220MB. A Gnome 3 Debian desktop requires less memory than a Fedora LXDE desktop! In part 2 of this series of articles I continue with several enhancements to the current setup. I start by setting icons on the desktop, configuring a password-less bootup and password-less partition mount in file manager, I replace Openbox window manager with Mutter giving the desktop a very polished modern look, I configure desktop sharing using VNC, and I take a look at Debian Backports system and how to install newer versions of some very popular Linux programs. Great article..!!! like to know if you can write an article on setting up a headless file server and login into it with vnc from off of any machine on the network?? Thanks! I think you would need to set is as a server (without xorg), and enable SSH on the machine, without vnc. Since you’re using the command line for apt-get anyway, I suggest you give “dselect” a try. It’s an apt front end that has been around almost as long as apt itself, and it makes searching for packages and resolving dependencies very simple. One thing about dselect, since nothing is perfect. You have to update the list of packages available to dselect with the “update” option even if you have issued an “apt-get update” command earlier. It seems that dselect uses its own buffer of available packages rather than just using apt’s. Otherwise, it’s just an apt front-end, and uses all the same files and repositories as apt is already using. So start dselect, choose “update” then “select” and you get the list of available packages. Thanks for the description and the measures. Something went wrong during installation. /dev/tty0 device should be present after install. It has nothing to do with startx, it should be there even on a regular server install. i would prefer xfce over lxde, somehow when i use lxde, i cant tweak much. It is amazing what you can get away with when using debian. I had an old machine (my first machine back in 1997) a 233mhz AMD K6 with 96 megs of ram. I did sort of the opposite of what you did though. I installed the full desktop support with gnome. Then disabled gnome and then installed LXDE. I like a lot of the GUI bits and pieces, etc gnome installs I just don’t want all that junk running at the same time. I don’t mind wasting disk space since the fact the system’s BIOS can’t see a 250GB IDE disk, doesn’t mean the linux kernel booted off the original 6GB drive can’t. I go through and shutdown all the useless daemons, etc. Booting to lightdm (wheezy installed) it uses 88mb of ram with nothing in swap yet. Logging in a user account bumps it up to 92 used (2 of that in swap since the video driver robs 6mb of the system ram). My main problem is the web browsers, they are such resource hogs. In squeeze I would use Kazehakase on my low spec boxes, but its not available in wheezy. Yes, sometimes I am doing it the same way. I would start with a full Ubuntu Unity, bring in LXDE and scrap everything else. I have an article here: https://l3net.wordpress.com/2013/02/08/ubuntu-cleanup/ . And I agree, web browsers are memory hogs. Hi there! First of all thanks for your guide, I would like to use it to build virtual machines to run boinc over night time. I just need an information, after lxde installation how can I set automatic login? I’m using latest 7.4 version. The best choice by far is Arch Linux. I have no idea how you measure it. Boot up, login, and in an xterm run “free -h”. I like Debian. Is my second favorite just after Arch Linux. Also, keep in mind I’m doing a standard Debian/LXDE install with all default processes running, without any kind of tinkering. If on my 90MB Debian box I start removing default processes, I’ll get below 70MB very fast. Thanks for the tip! I’ll give LXDE a try. Xfce always seems more feature-packed and stable than LXDE, such as desktop icon arrangement. But thats probably why it has a larger footprint. Although after a cold boot up into Xfce, I am only using 70MB out of 512MB of RAM. The wonders of a minimal install. Sorry to be commenting a bit late. This is yet another great tutorial. Thanks! I’ve been using and developing on Linux for more than 20 years. For a while, I used to love distributions that included all the “latest and greatest” software. My feelings regarding that have changed, a little, over the past few years. I’m actually quite happy running a distribution like Debian Stable that include software that might be a bit out of date compared to other distributions. Sure, I may not have the latest and greatest to play around with but everything runs rock solid, for sure. Do you have any recommendations for repositories that might be nice to add to Wheezy to get a few updated apps? Like I mentioned, I’m very happy running apps that are a bit behind in updates but I do have a few that I use daily and the newer versions contain some updates that are very nice. Yes, I usually scrap them also. What about installing only lxde-core along wiz lightdm, would zat decrease memory footprint…. Here what I wanted is to have a virtualbox debian server to z minimal….only to run LAMP, iceweasel (still big for me). Mostly I do things via ssh-server but sometimes I needed to login via GUI. Apart frm zis no bells and whistles are needed. You’ll have to try it out, you’ll probably get a lower memory footprint. I also use to keep a light GUI on some of my servers. I’m not sure measuring RAM usage after boot really makes sense. Some OS might cache as much stuff as possible into RAM while there is some available, so they’ll *look* heavy, but are able to drop least useful things when applications start requesting RAM (for example Windows does this as far as I know). Having a lot of free RAM doesn’t necessarily mean you have a better system ; maybe it’s just waiting for you to do anything to fill your RAM with crap (and stutter each time it has to load new stuff). Nice tutorial though, and even if they are not actual proof of lightweightness/usability, your measures are still good hints 🙂 Thanks. Thanks for your comment. There is no official definition of lightweightness. You are correct, the memory usage is just a hint – maybe the only hint. Afaik, the recent Debian releases consume more memory, on Debain 8 AMD64 it was around ~80MB on a 2GB machine without any GUI. FreeBSD on the same machine consumed less than 20MB..